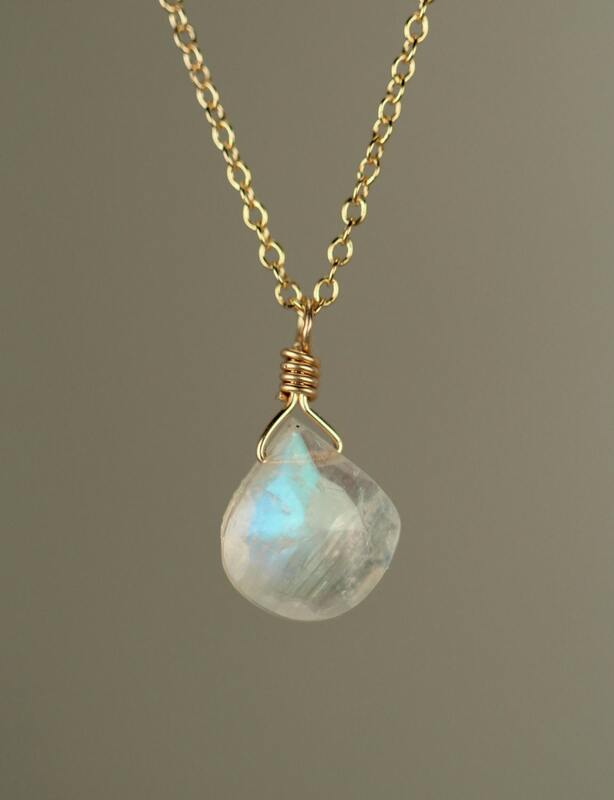 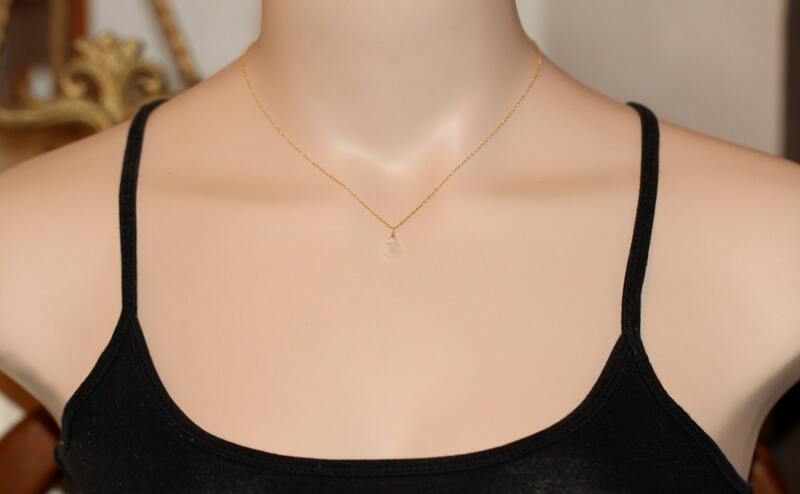 A beautiful little, faceted, genuine moonstone is wire wrapped onto 16 inch 14k gold vermeil chain or sterling silver chain. 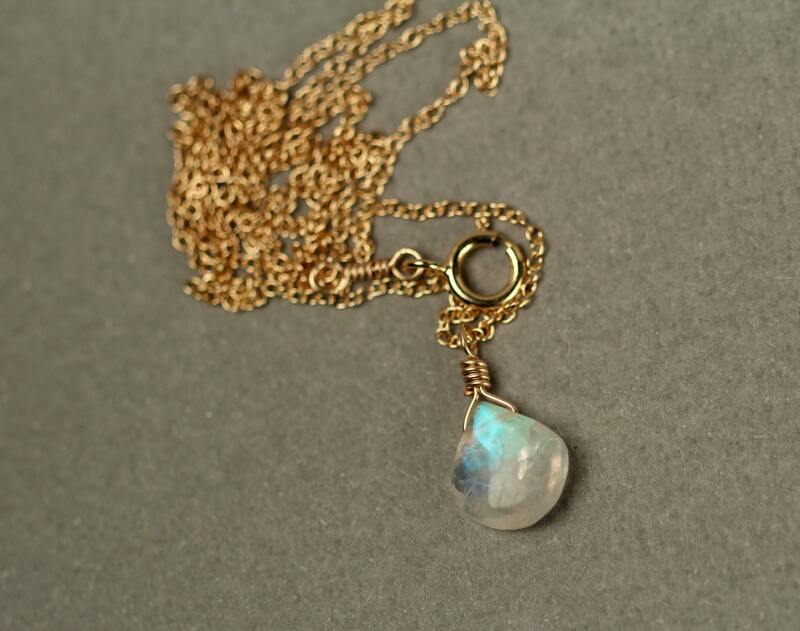 Please feel free to select a different length chain if you prefer! 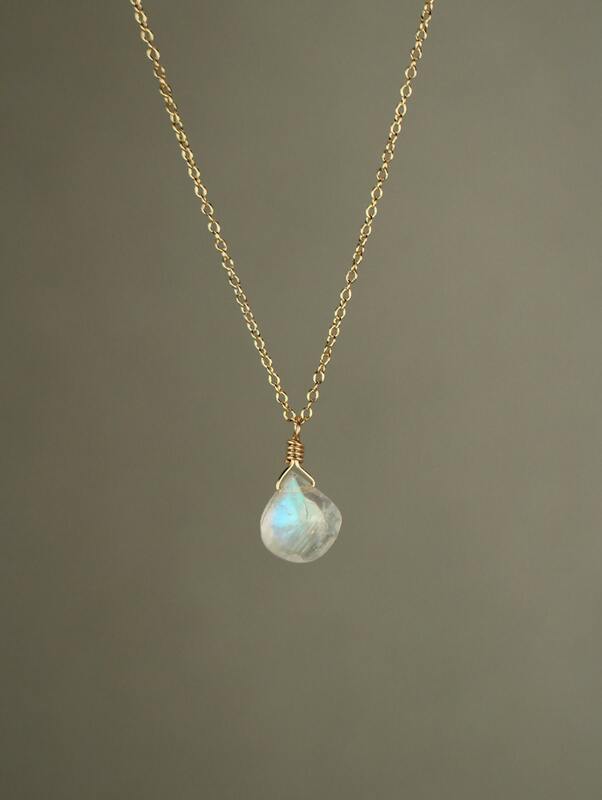 Now available with a rose quartz drop! 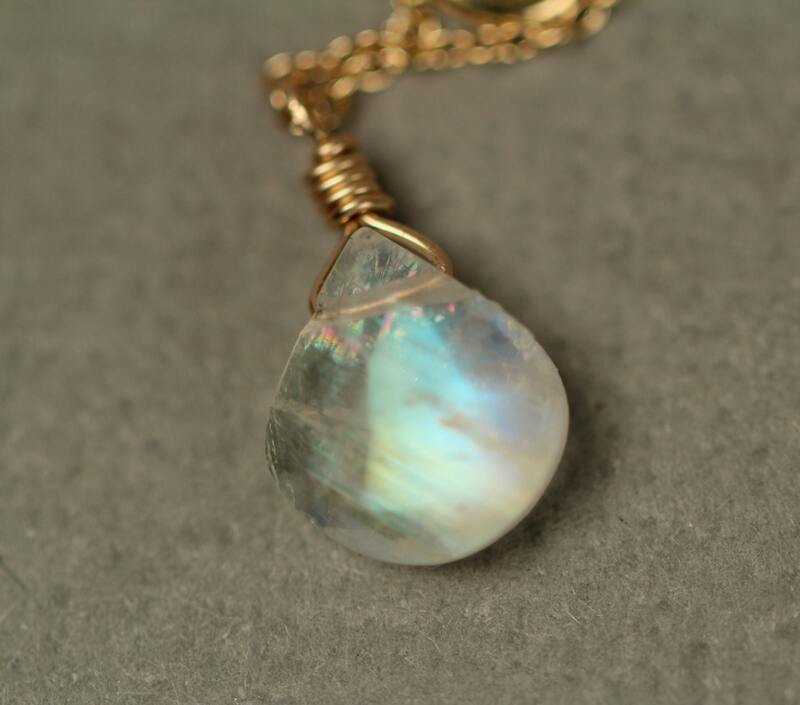 These moonstones are one of a kind and range between 8mm-10mm.